Imagine Having an Extra 21 Hours Added on to Your Week, What Would You Do With That Time? Your Productivity Will Go Through The Roof When you Start Getting Less Sleep! 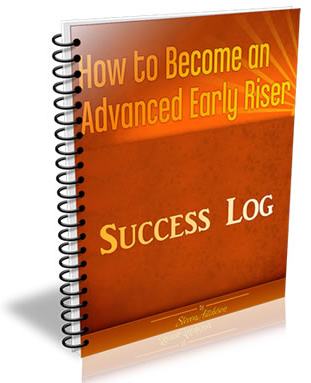 Being more productive is the number 1 reason readers like you buy this program. 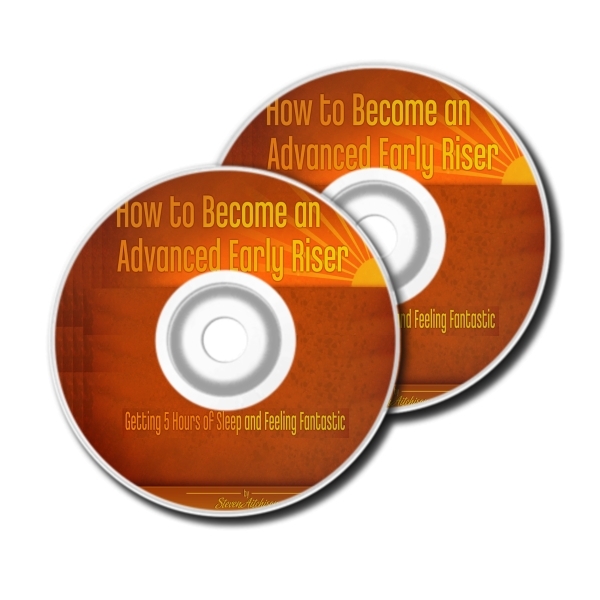 By implementing the strategies in this guide you can become much more productive and get everything done at home, in your business or for your place of work. Not only will you become more productive, but you will have much more time to relax and enjoy your new found productivity, which means more time with family and friends, or even time to start your own business. 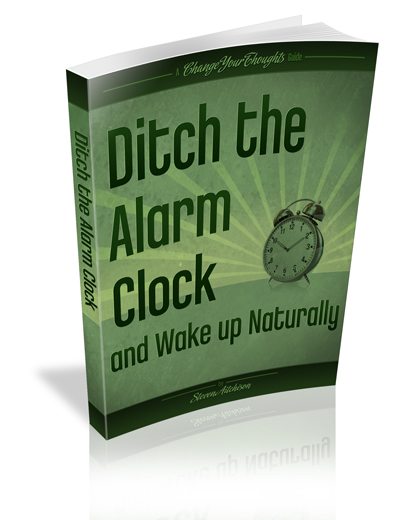 "I must say it is a very inspiring book for people to become more productive and live their life to the fullest. 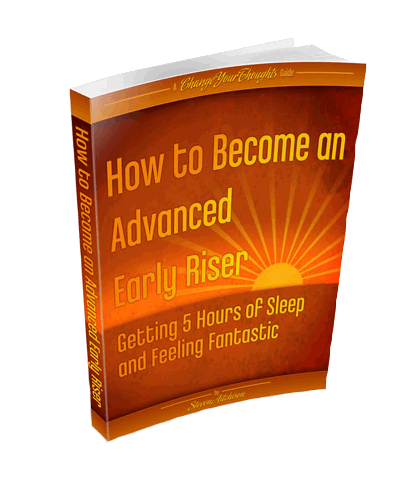 This book is an extremely valuable tool that describes in detail all methods to become an early riser and the benefits of such changes. I highly recommend it!" I have been an early riser for years, and by early I mean getting around 5 hours of sleep per night, waking up around 4.30-5am most mornings. I didn’t think this was unusual in any way until a lot of my colleagues at work were asking me why I was so organised and always managed to get my work done on time and never have to stay late at the office. However, it has not always been like this. 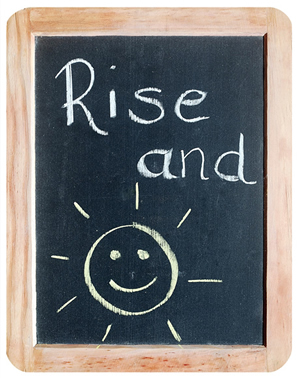 I used to struggle to get out of bed in the morning, and when I eventually hit that snooze button for the hundredth time, I would have to rush around throwing my clothes on, not have any breakfast and rush to get the train into the office. My head was all over the place in the mornings and I often felt as if I was meeting myself coming backwards. I was often late at the office, wasn’t organised at all, and had to stay late to get work finished on time. Well, that all changed one morning when I was late for work, for the umpteenth time. The manager had become tired of my excuses and was on the verge of sacking me. However, due to the large orders that had just been placed with the company I was given one last chance with the explicit order that if I slept in again I wasn't to bother going into work again. I was given a four week 'shape up or ship out' period. I decided to shape up and after a few months I was being considered for a supervisory role, but I decided on leaving the company instead, with head held high. Over the space of a few months, without a guide, I trained myself how to get up 1 hour before my normal time, and then later I gained another hour doing the same thing and kept on going. So I was soon gaining an extra 28 hours per week. I didn’t realise it at the time, but my improved performance at work, because I was getting up early, saved me from getting the sack. Getting up early was also saving me an extra few hours at the office each night, which is worth around £100 per week. I worked out I was working an extra 40 hours per month, at £10 per hour that’s £400 per month and I wasn’t getting paid for it, how crazy is that. Not only was I saving time and money, but I had time in the morning to work on my fitness, and to also incorporate relaxation time, I learned to meditate for 15 minutes per day. I also learned about organising my time much more efficiently. 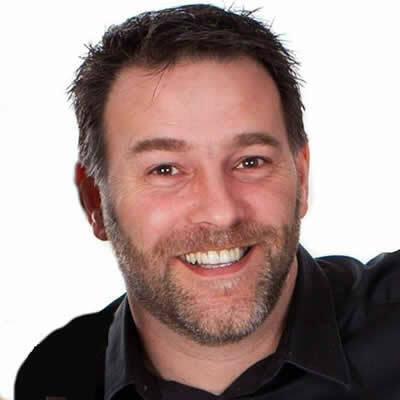 I now own my own company creating personal development and business products, but I also have a blog, write guides like this, I have written 4 books, and 6 guides, do freelance writing, coaching, social media marketing, and have a great family life with my two sons and my wife. I manage to do all this simply because I get up really early in the morning to spend a lot of my time on my business, but also get the exercise I need by walking two miles every day, the relaxation time I need by reading and meditating, and still manage to spend quality time with my family. "A report, which followed almost 450 middle-aged and elderly women over a 14-year period, found that those who slept between five and six-and-half hours were most likely to still be alive. It differed from other studies in that it measured sleep using wrist activity monitors, rather than asking people about their sleep habits. Daniel Kripke, professor emeritus of psychiatry at the University of California San Diego School of Medicine, said: "The surprise was that when sleep was measured objectively, the best survival was observed among women who slept five to 6.5 hours. "Women who slept less than five hours a night or more than 6.5 hours were less likely to be alive at the 14-year follow-up." If Someone Came Along and Offered You An Extra 45.5 Days Onto Your Year, How much Would you Pay for That? Yep, you would pay thousands for the chance to live your dreams, take up a new hobby, complete ALL your tasks on time, start a new fitness regime, start a new business, or anything you can think of with an extra 3 hours per day. Well, because I am living my dream already, and my dream is to help thousands of people around the world to start living their dreams.